Although the environmental sector only counts for 3% in total giving in the U.S., environmental issues like climate change remain among the most pressing issues of our time. 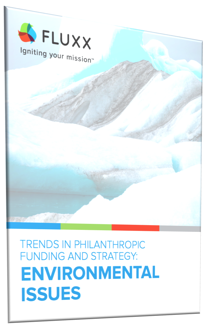 In fact, Research from the Center for Effective Philanthropy reveals that 200+ foundation presidents think climate change is among one of the biggest issues philanthropy should address. Fill out the form on the right to get the guide now!